Free agency has largely come and gone, with most of the NFL’s attention turned toward the NFL Draft four weeks from now, so the question begs to be answered: What did the Eagles accomplish in the span of three weeks to improve the roster? A lot, as it looks now. Nobody, of course, is saying that what the Eagles have done is enough. The NFL Draft remains the key to long-term success, and the Eagles have three picks among the first 57 and they know they have to nail those picks. This is a football team that still has needs across the board, with running back, depth on offensive and defensive lines and linebacker still apparent. But the Eagles have treated free agency brilliantly. They were aggressive in bringing in some front-line talent (wide receiver DeSean Jackson, defensive tackle Malik Jackson), adding veteran depth (safety Andrew Sendejo, linebacker L.J. 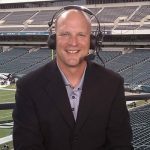 Fort, defensive end Vinny Curry), retaining some key pieces (defensive end Brandon Graham, cornerback Ronald Darby), restructuring the contracts of starting players to keep them for 2019 (safety Rodney McLeod and offensive tackle Jason Peters) and extended the contract of a player they think is a rising force, left guard Isaac Seumalo. The defensive line had its moments in 2018 and clearly came on down the stretch, but injuries took their toll and the performance against the run wasn’t up to par and the consistency in the pass rush department wasn’t quite where the Eagles wanted. So head coach Doug Pederson changed defensive line coaches. Phillip Daniels is now in charge, and the Eagles made some personnel moves. Trading end Michael Bennett, a productive player in his lone season here, raises some questions because he certainly had his moments on the field and he’s been a good player for a long time, but the Eagles brought in Jackson to play next to Fletcher Cox, kept Graham and signed Curry after he left for a year and played in Tampa Bay. While Curry isn’t in the same pass-rush category as Bennett, he’s a great team player, tough against the run and energetic in pass-rushing situations, he can play up and down the defensive line and he’s going to embrace his role in a rotation. Graham, who battled early last year coming off ankle surgery, is 100 percent and has plenty of gas in his tank. He should be ready for his best football in 2019. The key here is Malik Jackson, though. At his best, Jackson wins one-on-one battles, freeing up Cox to destroy offensive blocking schemes. The Eagles didn’t have a partner for Cox last year. They have a perfect one now. The NFL Draft, by the way, is loaded with defensive linemen. The Eagles could very well add to this mix early in the draft. DeSean Jackson has jets. Simple as that. Defenses have to respect him for his deep speed, which opens up everything else for the Eagles on offense. He’s the perfect fit for a passing game that needed his vertical threat. ‘Nuff said. Jackson is going to do serious damage here and his presence opens up everything underneath in the passing game and, by the way, in the running game.